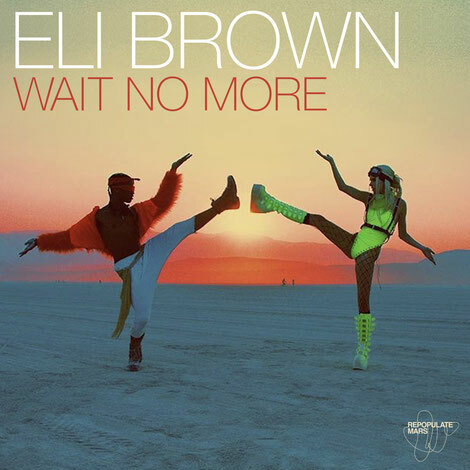 Eli Brown returns for his third Repopulate Mars release featuring two house cuts, entitled ‘Wait No More EP’ accompanied by Solo Tamas on vocals. Following a career as a D&B producer, Eli has possibly become one of the most exciting acts in the house music scene. Last year’s ‘Hysteria EP’ was a release on Repopulate Mars, whilst other Eli Brown productions have appeared on Sola, Relief and VIVa. He has gained support from the likes of Annie Mac, Monki, Groove Armada and Solardo to name a few. He now returns to Lee Foss’ imprint with this latest release. ‘Wait No More’ starts things off with disco-influenced vocal slices, shuffled percussion and a pulsating low-end before ‘Misbehave’ sees DJ, producer and vocalist, Solo Tamas, provide raw vocals alongside acidic synths, rugged drums and a thumping bassline in ‘Misbehave’, rounding off the package with a high-octane and funk-infused finish.